Just as Rebecca deals with shopping the character in the Undomestic Goddess must confront the over-work in her life, or lack of life. She can’t have time to meet with her family for her birthday or learn how to use her vacuum and then crisis, the lawyer becomes a housekeeper in a grand house. She must learn to cook, clean, and live. Can a hard-edged city lawyer learn to appreciate the needs of a house? The story has lots of humor and romance. I love it! 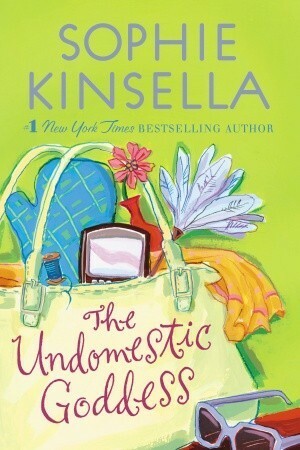 Undomestic Goddess is probably my favorite Kinsella novel. I love anything that is about work, why we work, why we over-work, work vs. family etc. Especially interesting is the contrast of old vs new work. In I’ve Got Your Number is her newest novel and it conquers smart phones. Through admittedly ridiculous turn of events a man and woman must share 1 phone (think the movie Pillow Talk in the modern era). They go back and forth exchanging each other’s emails and becoming more involved in their lives. Its a very good book and great romance. I laughed out loud a lot and her lead character Poppy felt like one of my best girlfriends. Kinsella also knows how to make a setting humorous and without being gaudy, slapsticky, or over-the-top. Its easy to criticize the plots of Kinsella’s books. They are thin on plot but her characters and situations are spot on. Yes they are predictable and obvious but they are also funny, relatable and speak in an authentic way to real problems. Whether its conquering housework, shopping, or managing 2 phones, the characters feel funny and real as they go about the experiences of their novel. Well, I’ve hid it for months because it seemed like ‘dumb chick lit’ writing but I’m coming out and saying it- I like Sophie Kinsella and think she is a good writer. She makes you laugh and question your own habits. It is great! It is easy to dismiss someone because of the genre they write in such as chick lit, but are there not always authors that succeed in a genre, or despite a genre? I’m no longer going to be a closeted Sophie Kinsella fan. Silly, romantic, fluffy they may be but they make me laugh, pause to think and smile at the characters happy endings. I hope that she continues to write more stand-alone novels because I’ve loved all of them that I’ve read- Undomestic Goddess, I’ve Got Your #, Remember Me etc. 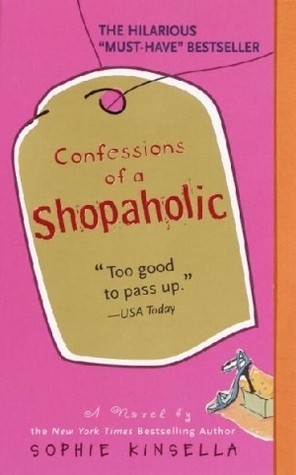 The shopholic books were great for the first 3 and then got a bit tired, as most series do. Although being British there is a bit of language in her books particularly the F word so you’ve been warned. What books do you like despite not normally loving the genre? Do you think genres stop you from reading certain books? Have you been surprised when you gave a new genre a shot? The comments have been a bit dry lately. Make my day, make a comment! 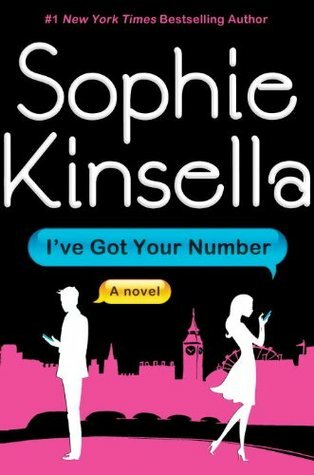 I’m a fan of Sophie Kinsella as well. I think because my family tends to relate so well to her characters 🙂 I love how quickly I can read them and how enjoyable they are. There isn’t one that I started and haven’t finished. I haven’t read her newest ones though (since I don’t live close to a bookstore) but I think I just may order them from amazon! That’s a really good point about them being a quick, enjoyable read. I think some people assume easy read=poor writing but I don’t think it is always the case. Writing something that makes you laugh takes a ton of skill. A lot of people relate to Kinsella’s books because she grounds them in issues that everyone deals with such as materialism in shopaholic books or overworking in Undomestic Goddess. Its such a common problem that we can all relate the characters to our own lives. Since you commute a lot you might want to pick up the audiobook of I’ve Got Your Number. It was great! A wonderful reader, as is the case with all of her books. I listen to a lot of books while I work on various projects and with a good reader it makes the time fly by. With my eye problems sometimes it is hard for me to focus on text but they are all also cheap on amazon. Let me know what you think of I’ve Got Your Number. Undomestic Goddess is my favorite. Have you read that? Thanks for pointing out this author…these books sound great. I saw the movie Confessions of a Shopaholic without realizing that it was based on a book, so I didn’t realize their was a story to ruin. I loved the movie, so now I’m really excited to read the book. Do you think any of these books would be good for book club discussion, or no? Our book club is in dire need of some lighter material because we’ve been reading book after book that deal with heavy and depressing issues. My only potential concern is that there may not be enough good discussion material with these. What do you think? Its so funny you mentioned that because I was thinking of choosing her book Undomestic Goddess for my book club. I think there is a lot to talk about in that book about working, overworking, housework, and all things domestic. It does have some language and sexual situations but its PG-13 territory. You would have to come up with your own questions but I don’t think it would be too hard. Some other light books I’ve done for club are No 1 Ladies Detective Agency by Alexander McCall Smith, A Year in Provence by Peter Mayle, Mama’s Bank Account by Kathryn Forbes, Cheaper by the Dozen, Prize Winner of Defiance Ohio, All Creatures Great and Small by James Herriott, Gift from the Sea by Anne Marrow Lindbergh and I know there are others and I will let you know when I think of them.